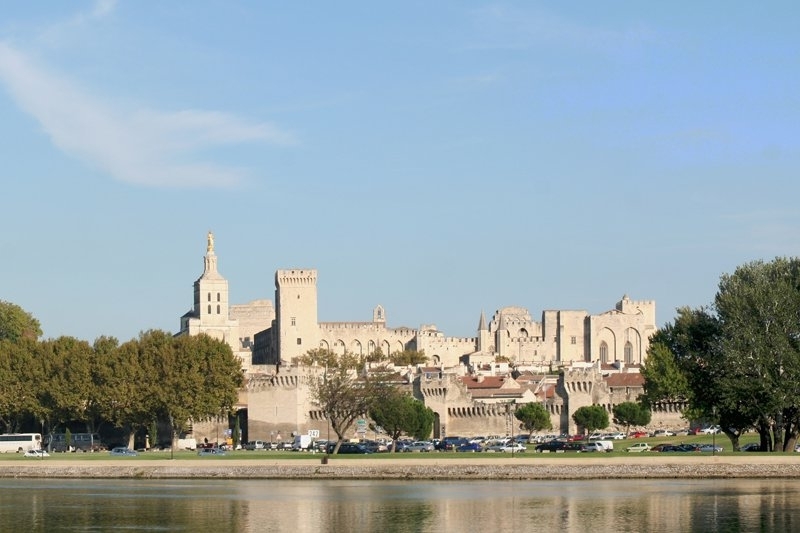 First large Roman city, then the capital of Christendom in the Middle Ages, Avignon has always been an important city. With this long history, the city now has a remarkable architectural heritage. It is one of the few French cities to have preserved its ramparts and its historic center with the Palace of the Popes, episcopal buildings, the Rocher des Doms and the Bridge of Avignon. It was declared a World Heritage Site by UNESCO in 1995. It is also a modern and active city, which organizes the largest festival of live theater in the world. The city of Avignon was made ​​the capital of Christendom in the fourteenth century and saw a succession of new popes. This enabled it to enjoy a great fame and wealth. Even today, the city of Avignon is one of the most visited in the world. 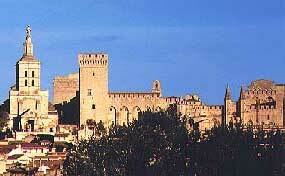 The Palace of the Popes, landmark of the city, is a must for all visitors to Avignon. Built in the fourteenth century, the massive fortress-palace houses an impressive collection of monuments such as the Saint Benezet Bridge (Pont d'Avignon), the Cathedral of the Doms, the Petit Palais and the old ramparts. The papal library of Avignon which was the largest in Europe at the time, with 2000 volumes, attracted many literature enthusiast clerics and among them Petrarch, poet and founder of Humanism. Several trips are arranged to enable us to discover the medieval city center or take a few breaths of fresh air on the island of Barthelasse through a free river skiff. In addition to the built heritage, Avignon is a city rich in culture. Its theater festival created by Jean Vilar in 1947 is its main asset. It takes place every year in July and invites us to more than 50 shows spread over twenty scenic spots. It always attracts tens of thousands of spectators, eager to discover the actors' performances in places as diverse as the Cour d'Honneur of the Palce of the Popes and the back room of a small cafe. The Papal city was awarded for the development of its culture by becoming a "European City of Culture" in 2000. Not far from Mont Ventoux, the Pont du Gard and many other beautiful natural sites, Avignon also offers the possibility to escape on the Wine Route: the opportunity to taste the products of the surrounding vineyards such as Beaumes de Venise, Chateauneuf-du-Pape and Gigondas.